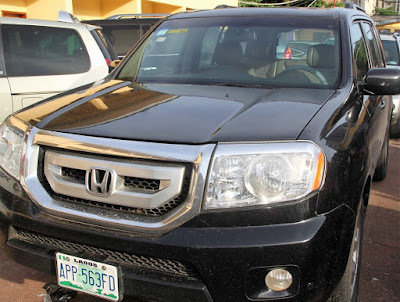 The Economic and Financial Crimes Commission, EFCC, Lagos zonal office, has arrested three suspected Internet fraudsters for conspiracy and possession of fraudulent documents. 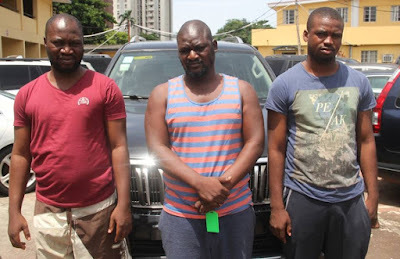 The suspects-Sylvester Osolase, 30; Seyi Ajayi, 36 and Monday Mayaki, 37 were arrested on Sunday, May 27, 2018 at River View Estate, Isheri North, Lagos State, following intelligence report received by the Commission about their activities. The suspects, who were dealing in romance and classified scams, confessed to have defrauded several unsuspecting victims around the world. They also confessed to have used proceeds of their illicit deals to buy cars, paid their rents and travel around the world. Items found on the suspects include laptops, cars, mobile phones and incriminating documents that were printed from their emails.